Crane Truck 1 Applique - 4 Sizes! Boys love their trucks! This is fun for a Birthday design - or - just to display an age. Try it in pink for the girls, because they love trucks too! Birthday Boxes Applique - 3 Sizes! 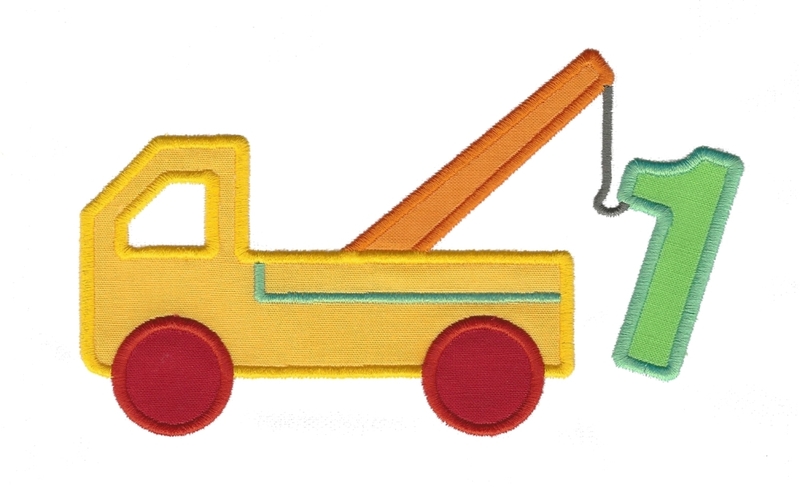 Crane Truck 2 Applique - 4 Sizes! Finish Size 3.76" x 2.73"
Finish Size 5.49" x 3.56"
Finish Size 6.27" x 3.70"
Finish Size 7.28" x 4.28"